Sam Arkey [and myself] went out to the last reported siting area on the morning of December 17th. We walked up and down the streets trying to find her when we had all but given up and began walking back to our cars. Sam finally spotted her curled up seeking shelter in a pile of brush. She was barely visible and I commented to Sam, “that’s not a dog, it’s just some branches,” but it was her. We made our way over to her. Normally you approach a stray with caution, but it was clear she had all but given up. She wasn’t going anywhere and posed no risk to us. The poor girl was barely holding on. We placed a leash around her, tried to coax her up and out, but she didn’t move much, leaving me to pick her up and carry her. I still remember pulling a leaf off her cheek and blood began to drip. It had turned cold that day with freezing temperatures expected, and we have no doubt had she not been found that day, she would not have made it through the night. We immediately took her to Vergi 24/7 in Houston, an outstanding ER veterinary clinic. Our group focuses on medical cases and Vergi is who we trust with all our cases. She was immediately evaluated. Weighing barely 23 pounds, she was first estimated to be between 6-9 months old, but that estimate was later revised to between 2 and 3 years old. At the 2-3 range, she should have been in the 70-pound range. Her condition was critical, emaciated worse than any of us or the staff had ever witnessed. The biggest health concern was from the starvation and avoiding re-feeding syndrome. She was also anemic and required frequent blood draws to keep close tabs on her electrolytes, blood glucose, and protein as vitamins and minerals were reintroduced to her system. She was placed on IV fluids and fed very small meals every two hours. We expected her to remain under ICU care for weeks. There were ups and downs along the way. At one point, the staff at Vergi didn’t think she was going to make it. Our group scheduled a prayer vigil and candle lighting for the evening of Dec 22nd. They were clearly answered because made a miraculous turnaround. She went into her first medical foster home on December 23rd. She spent a week in the care of Jill Washburn. Jill needed to keep a close eye on Frannie and feed her small meals every four hours. She also needed to take her to the vet every couple of days for blood draws. Still keeping close tabs on electrolytes, blood glucose, and protein. When we were able to feed larger meals every six hours, she was moved into a longer term medical foster home with Amy Boram Wilson. Amy continued the care and frequent trips to the vet’s office for checkups. Amy and Jill gave Frannie all the love and care she never knew before. They are the real heroes in Frannie’s tail. Without fosters who take in these dogs and offer them love, compassion, and care, no rescue group like ours could save a single animal. 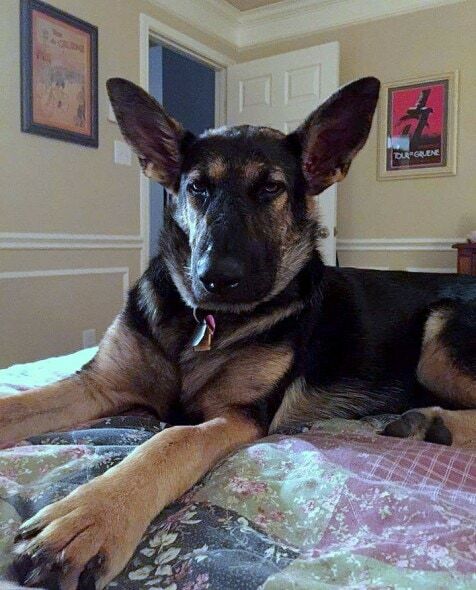 Frannie was adopted into her furever home on February, 27th by Jack and Jan Long. We typically require three meetings between the dog and prospective family. Amy told us upon the first meeting that Jack and Jan were a perfect match for Frannie. They have proven to be that and so much more. Jack says her life on the streets still has an effect on her today. She’s leery of new things until they reassure her things are ok and she’s a very opportunistic eater. She is a little energizer bunny – she will run and play all day. They recently adopted another rescue dog. Frannie now has the mom and dad she never had and a brother. Her life is perfect. It is hard to believe seeing her today and knowing it’s barely 7 months since she was a mere skeleton on death’s door. St. Francis, her namesake, certainly looked after her. 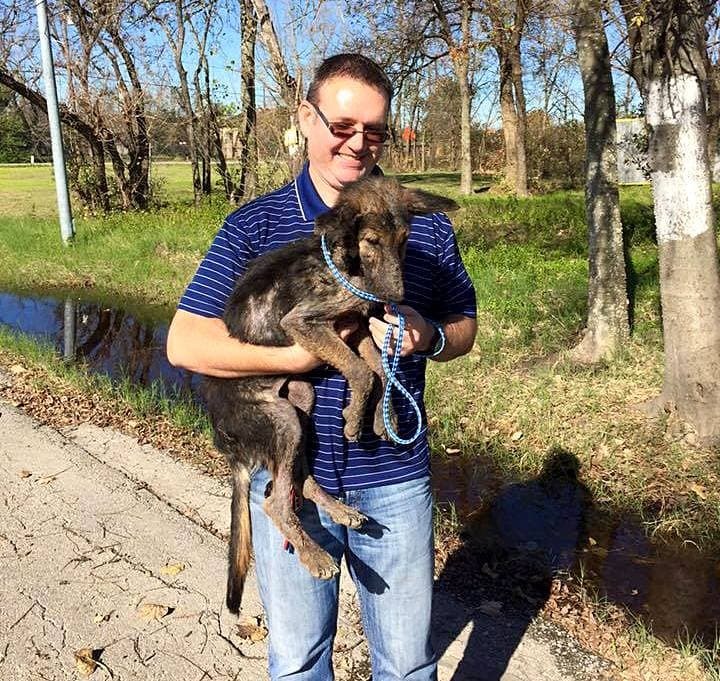 The 5th Ward area is a slum area known to be a dumping ground for dogs no longer wanted. Frannie was likely one of these dogs. We will never know who was responsible for her condition, but we know the many who came to her aid and offered her a hand. If you would like to make sure that Val’s Pals GSD and Large Paw Rescue is able to continue saving the lives of desperate dogs like Frannie, please CLICK HERE to donate. Stories like this give me hope in the world. They are evidence of God’s mercy. I’m so glad that everything worked out and now this dog is beautiful again, with a life of joy ahead of her. Totally agree, it baffles me how delusional some people can be. Didn’t you read the story about how Frannie was saved from starvation? There is good and evil in this world, evil abandons the needy, good helps deliver them. I believe in God but don’t agree with his way being so selective, random, or merciless. God isn’t the one who did this to her. God gave people free will, and unfortunately, some people choose to hurt. God knew where Frannie was the whole time… and, I’m sure He was guiding her rescuers to her. 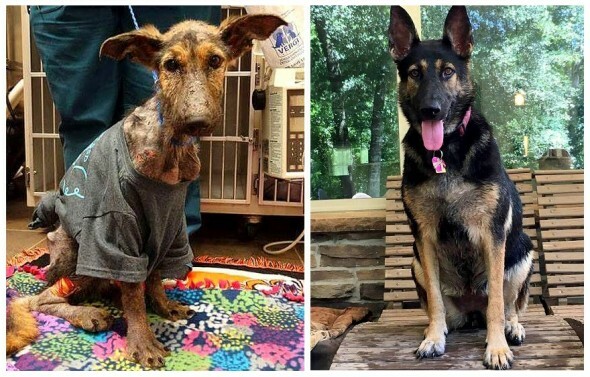 Ultimately, she was saved, has a beautiful life, and her situation has shed some light on a very real need for the animals who have been abandoned. God does not cause tragedy, and then walk away. Tragedy happens, He sends help, and the kindness we need to see more of comes out. I’ve never seen a sad situation God doesn’t redeem. Where was god and his grace when that animal was starving… I hate that mentality of people!!! Teresa is so mad. You have issues.. Beth just stated that she was glad the dog finally got some help. What is wrong with her saying that? Try being a little more positive, it may help you. But it wasn’t “god’s” mercy that saved that dog, it was the people. “God” did not care about that dog, or any of them. If he did, then those dogs wouldn’t be in that situation in the first place. You sound very ignorant and angry. Figures. People with no faith feel that way all the time. If you knew anything about God you would know that God is the energy that is in us all. Humans talk as if God is a “He” but that’s not the case. The universe…energy….that is God. 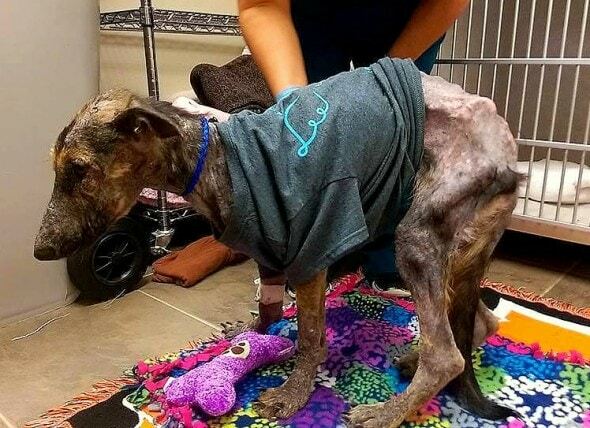 So, yes, God worked through these people to save this dog. We all have free will…and we can choose to destroy or to save. 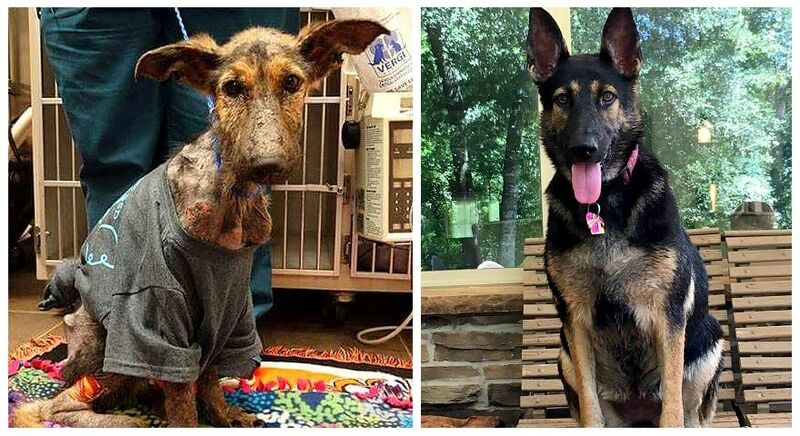 Thank you sooo much for saving her life. She looks so happy, beautiful and healthy now. Shame on the person who let this happen to her. What an absolute disgrace, that a ‘human’ being would behave so inhumanely, so intolerantly, to such a loving, beautiful animal. Dogs stay with us in thick and thin, sleet and snow, hot and cold; they love and protect us unconditionally, will give their lives to save ours, and have done time and time again. Those who abuse, torture/maim, and kill these innocent animals have no understanding nor do they comprehend what an important part they play in our society. They are not on earth by any accident; neither are they here for our ‘entertainment,’ or as convenient outlets in which to place our misguided frustration and rage. All creatures, both great and small, have a place on this earth. What people need to learn, now, is that these gentle creatures deserve respect, compassion, and love from all of us. If you are so inclined to, please pass this message on to anyone who may benefit and hopefully understand its importance. amen !!!!!!!! i have had only shelter dogs (for the last 50 years) and now 2 rescue cats. my dog Honey was old and blind, and Gracie had one rear leg partially chewed/cut off. i gave them everything and they gave me more. their love was limitless and they have added so much to my life. i got Gracie 1 month before being diagnosed with cancer. her eyes and love told me she would never leave me and we would get thru this together. we did until Gracie’s hips gave way from all the compensating for the missing leg. i am doing well and i miss her. first off I would like to say about all the negative BS I just read, that obviously the retards who were negative obviously have nothing good going on in their life that they are jealous of Frannie. God did step in the day she was found. We all are tested through out our lives. I don’t always agree with it, and I do argue with Jesus & God both at times. I know what I have been through alone doesn’t seem fair. I know life isn’t fair at all, and I ask them why all the time ! I am very happy for Frannie. I wished I had got her. I know God will get whoever dumped her there on his time, and only his way. Where bad is due, bad will be, and bad will find the ! Animals are very smart just as much as ourselves. All in my life, and even family pets stick to me when I am around, because they know who holds the true heart. As for you negative miserable souls, who made the comment where was God then. He was with her the whole time. There is worse cases every where in this world. Remember life isn’t fair. The reward is eternal life with God. Frannie was in the presence of God the whole time. . . . . . .
William Shannon Carlyle, You are correct. Also, these negative people that are angry with God like to blame God for all evil and thus absolve themselves from participating and rolling up their sleeves to do the work required to improve life. Stop complaining and get on the team and things will turn around. I am so happy for a good story like this. It lifts me immensely. 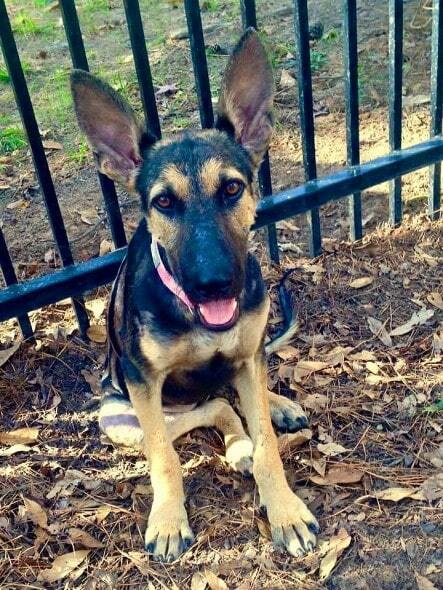 A horrible situation created by the inhumane person that once had this beautiful girl. 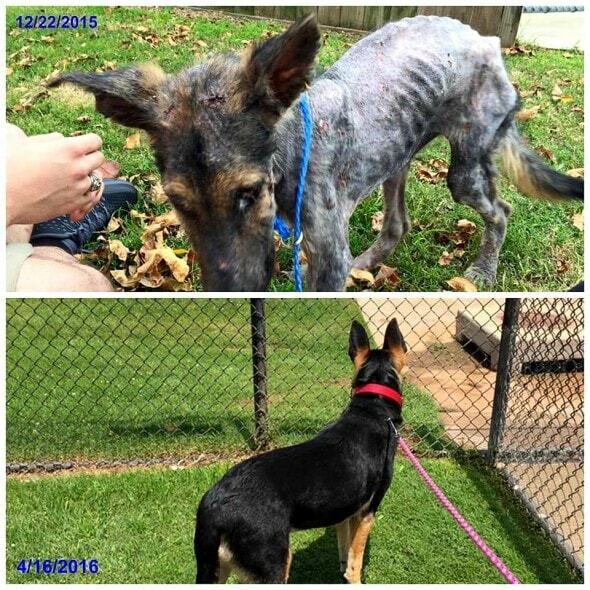 I’m so glad that this girl now has a loving home and I thank the people that brought her back to life. What an absolutely gorgeous dog. I don’t understand why so many dogs in Houston are being dumped. What is the matter with residents in that city???? Susan, me and my husband are natives to Houston, TX and that is the same question we have been trying to figure out our selves. Why are so many animals dumped in Houston? For the last several years me and my husband having been helping rescue organizations feed homeless dogs and have helped with the rescue of several, some to go into adoption and five that we ourselves have. They are the sweetest animals and we don’t understand why people just throw them away like trash. We would take more ourselves but no longer have room, because the five that we have are staying we fell in love with them. So we try to help by feeding them on the streets until they can be rescued. This is what the rescue groups do they feed them until rescue can happen. The biggest problem is finding a place to take them, there are so many animals dumped in Houston that most if not all fosters are full. There are very few physical shelters in Houston that are no kill. HORRIFIC BODILY CONDITIONS. YET IN INDIA THERE ARE ANIMAL RESCUE GROUPS AND PEOPLE WHO RECOGNIZE AND HAVE A GREAT AND KINDLY CONCERN FOR NEEDY ANIMALS/BIRDS/FISH, etc., AND RESCUE SUCH POOR AND HELPLESS ANIMALS. THANK YOU KIND ANIMAL LOVERS ALL OVER THE WORLD!! GOD BLESS THOSE WHO CARE FOR THESE ANIMALS. NO ANIMAL OR HUMAN SHOULD EVER HAVE TO SUFFER LIKE THIS! AGAIN, GOD BLESS AND THANK YOU FOR CARING! God’s grace is sufficient , in his own time he make things beautiful . Just keep on trusting Him, he is faithful. I’ve been thinking of adopting a rescue, but they are so invasive and particular and put people through so many hoops, that a lot decide to just go the breeder route. I am all for asking the right questions, getting proof of address and demanding registration – even chip insertion – but I had 3 kids and no hospital EVER asked the kind of questions I received and certainly didn’t do a “home visit”. The volunteers at these shelters are often “animal rights zealots” who would rather see a dog waste away in a shelter than given to a person who wants it. They. Are. Animals. And we should respect and love and care for them…but to treat them as you would your children is bordering on crazy. I mainly agree with Try Thinking. I gave up trying to rescue a dog as they were too intrusive and demanding. I ended up buying my last dog because of their BS. However, I treat my dogs better than my kids so we differ there. Then you are the problem with over population. If you can’t deal with the “BS” and inconvenience of having to be checked out to make sure the animal is going to a good home, then you really shouldn’t be getting a dog. They are loving and loyal and sometimes a PITA. but if you can’t get through the red tape, well, shame on you. This book explained to me why there are books I pick up and immediately put back down, why there are books I loose sleep just to read, and why there are books that I have to put down in order to th&t#.Inik8217;s also the first book on writing I’ve ever read that explains (so I can understand) about texture, layering, symbols, integrating all that, and how to rewrite smoothly, and how to give a story more depth. I feel like I can write now, without feeling so lost. 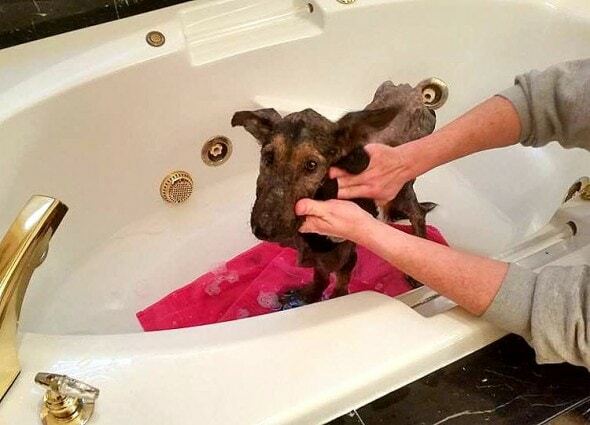 .While stories like this are wonderful, many rescue organizations abuse their mission. I provide an excellent home for an aged 14 years and aged 12 years dogs. This is documented by outsiders. The dog aged 12 years is a rescue from BRAT. I have had both dogs since pups and take no chances with them. Because of the dogs’ ages and that caring for a rescue has been such a positive experience, I sought to adopt again from BRAT and a Sheltie rescue in Wamego, Kansas.. I have been refused by both within the last 2 months. After undergoing a home visit, furnishing outsider-attested proof of care given, and meeting my dogs. BRAT found my care deficient and only very reluctantly answered my several requests for the adoption decision. BRAT said I was denied the ability to adopt because I allowed the dogs to exercise off-leash in a remote, protected location. I am cautious and take no chances with my dogs, who are not allowed off-leash only for exercise purposes in the protected area until they have passed several rigorous tests of bonding and attachment. I paid a visit to the Sheltie rescue with the same results. Representatives of both organization were not as concerned about successful placement of a needy dog as they were about their personal reputations suffering if they placed a dog in a home where the dog might get killed (my dogs die of old age) and the grief they would suffer personally if the dog was killed. The organizations’ contract are lengthy and detailed in their responsibility requirements of the pending owner. I doubt the contracts would stand up in their entirety in a court of law. 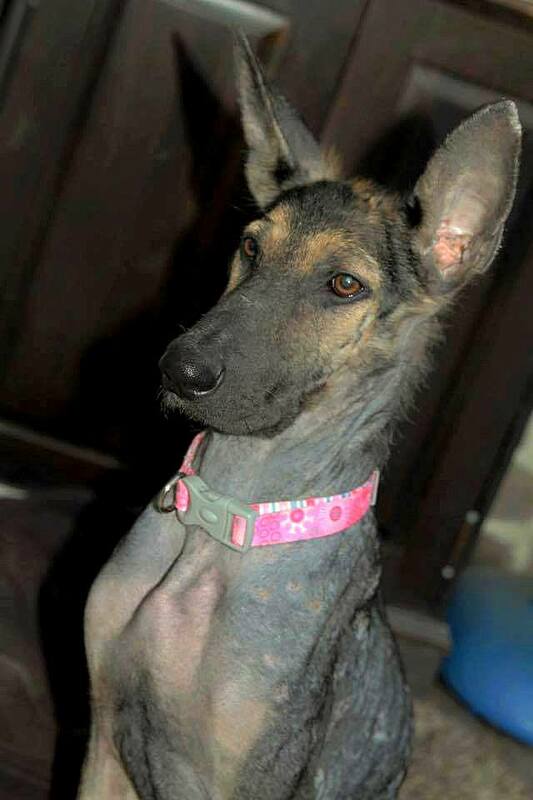 I gladly would foster/adopt a dog like Frannie. But I find that placing a needy dog is secondary to representatives’ mental well-being. I believe in performance controls for owners who cannot document their ability to care for a dog. I do not understand why punitive measures are exercised against a documented excellent quality- of- care owner. If you have an animal control in your area, you could adopt from them directly. They would do a basic background check to ensure the adopted dog’s safety and you would definitely be saving a life. Thank God someone found this dog. I have two dogs (one a shelter animal) and two cats (both strays when we found them) and I couldn’t be happier with them. My wife and I are both animal lovers who would NEVER turn a pet out into the world. I can’t see why anyone would do that to a loving animal. Pets give us love and loyalty unconditionally and we should give them the same. It’s sad that so many animals, of all kinds, are abused and tossed aside. I recently came across dogsindanger.com and looked up German shepards in El Paso TX. There were five pages of GSDs to be euthanized in the next month. I was not just heart broken but sickened. How can we help animals in these supposed “shelters”? Wonderful story!!! 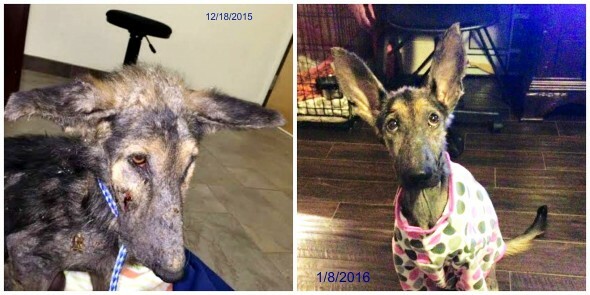 I am thrilled Frannie was reached by her guardian angels who found her and the fosters who nursed her back to health again!! Yes, God works in mysterious ways but we don’t always understand why. Think of it this way, does a car understand why a manufacturer does go him of why a driver drives a certain way? We are simply vehicles and our manufacturer is our maker far superior in every way including intelligence and love. 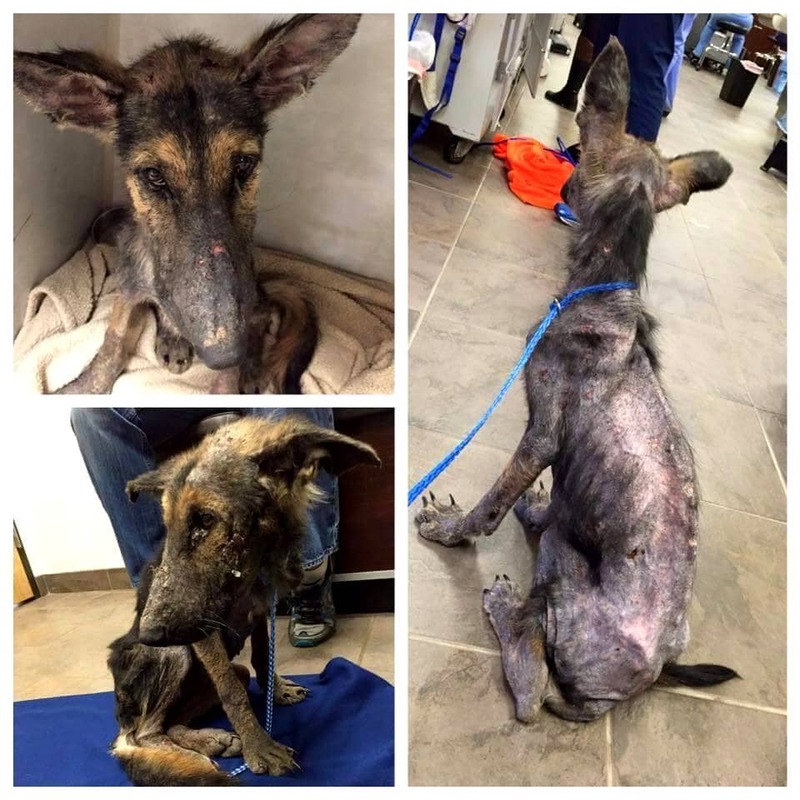 So atheists take over this beautiful rescue story to push their agenda onto others. Sounds like the democrats at it again. They are pushing their divisiveness everywhere. Unbelievable. Thankfully there are still many good people in the world. Very lucky pup to have run into them.